The term “cerebral palsy” denotes a highly variable syndrome affecting up to 3 out of every 1000 children born. It’s characterized primarily by motor impairment, but there are also a range of accompanying conditions such as seizure disorders and cognitive defects. Cerebral palsy results from damage to the brain in utero or during the first few years of life, such as may be caused by meningitis infection. As there is no cure, treatment currently focuses on managing each patient’s specific symptoms to maximize their mobility, independence and quality of life. The development of medicines to treat cerebral palsy is hampered by incomplete understanding of the condition’s earliest stages, when the brain first responds to an injury. Rodent models of cerebral palsy have been studied for almost forty years to fill the gaps in our knowledge, hopefully pointing the way to future treatments. Research on cerebral palsy in the past forty years has almost exclusively used a single procedure to induce the condition in animal models. The hypoxia-ischemia model, first published in 1981, has brain damage similar to that observed in cerebral palsy patients. Originally the method was used on rat pups seven days after birth, when their brains are most similar to those of newborn babies. It has since been applied to a variety of species, to leverage similarities between the brains of humans and different animals. In recent years mice have been used with increasing frequency, to take advantage of genetically modified lines as well as the relatively lower costs compared with rats. However mice are less likely to survive the hypoxia-ischemia procedure, display a wider variety of brain damage, and have dramatic strain-to-strain differences. Rat models are therefore still widely used. Most studies focus on either testing how a specific genetic pathway responds to the brain injury, or how administering a drug affects the severity of damage after injury. These decades of work will enable the integration of new techniques and technologies for cerebral palsy research and maximize the utility of the hypoxia-ischemia model. 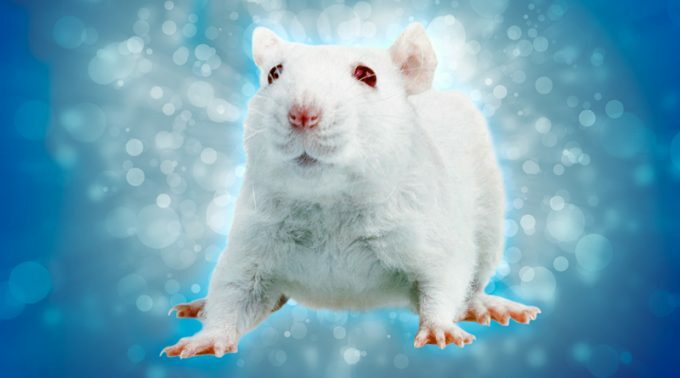 The greatest advantage of using mice as a model organism has been the availability of genetically modified lines where a gene of interest can be activated or inactivated in specific cells. This includes lines where one type of neurons is marked by expression of a fluorescent protein so effects on those cells are easier to observe. Previously researchers had to choose between the anatomical advantages of rats and the genetic tractability of mice if they wanted to use a rodent hypoxia-ischemia model. New methods for introducing genetic modifications into the rat genome make this choice much easier. Using techniques such as gene editing in rat spermatagonial stem cells allows researchers to design experiments around the biological questions rather than the limitations of their animal model. Colver A, Fairhurst C, Pharoah PO. 2014. Cerebral palsy. Lancet 383(9924): 1240-9. Rumajogee P, Bregman T, Miller SP, Yager JY, Fehlings MG. 2016. Rodent Hypoxia-Ischemia Models for Cerebral Palsy Research: A Systematic Review. Front Neurol 7: 57. Rice JE 3rd, Vannucci RC, Brierley JB. 1981. The influence of immaturity on hypoxic-ischemic brain damage in the rat. Ann Neurol 9(2): 131-41.